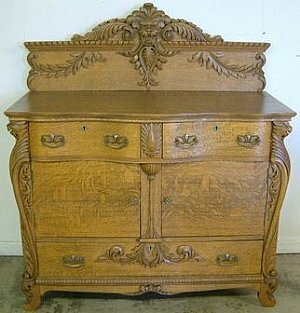 I started adding pictures of antique furniture to this website many years ago. Featuring the pieces of furniture that I bought in the Northern United States and hauled south to Metro Georgia to sell at auction. Over the years I used several different types of photo albums to display these pictures. I also changed the general layout of the website several times as I gained more knownledge of writing HTML and PHP. As such during 2012 I made a decision to completely redo Antique Furniture.US and the hodpodge that I had created over the years. I realized when I pushed the button deleted all content from this website that it would take quite a while to rebuild it the way I wanted! However it is starting to come together in a fashion that I hope delivers a much better user experience for the website visitor. The pieces of antique furniture that I photographed for sale in Metro Atlanta are now all under one category "PHOTOS". I have also standardized the file naming system that I use for these pictures. Please note that bookmarked links or links coming from other websites to the old address location of these antique furniture pictures will show a 404 not found page. As time allows I hope to foward using php as many of these old "Not Found" web addesses as possible to the new location. In the near future the category "PICTURES" will feature pictures from my antique picking adventures. While I plan to feature interesting pieces of antique furniture under this category that I see on my antique picking adventures. I also enjoy picken old and interesting photograghs when I find them. So my goal is to include much more than just furniture pictures under the "PICTURES" category! 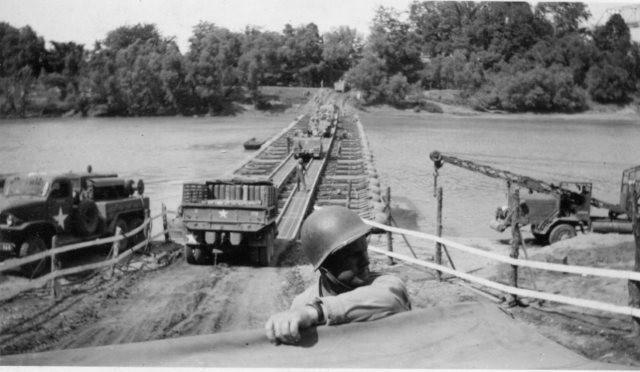 As an example I will be adding covered bridge photos and black and white snapshots from the World War II era such as the one shown above. I also have hundreds of vintage slides to scan that I have collected over the years!